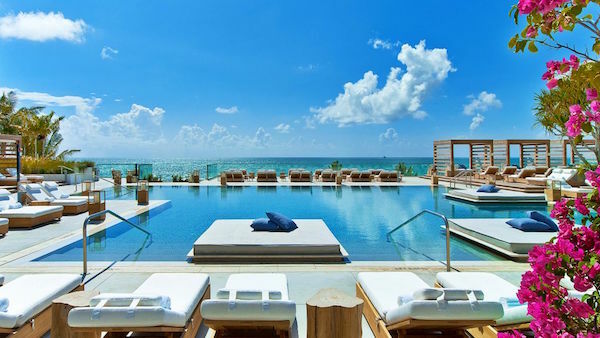 Miami, with its all-year warm climate, has rarely had trouble attracting travellers in search of sun, but the Miami hotel scene has never been hotter than it is right now. 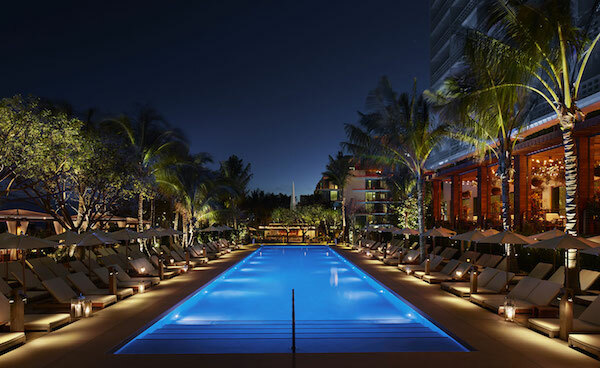 Big names, famous designers and worldwide hotel groups have all flocked to Miami to capitalise on its resurgence. 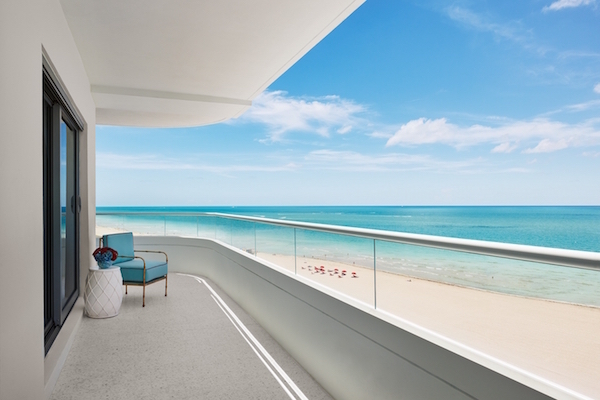 Read our guide to the hottest Miami hotel openings. 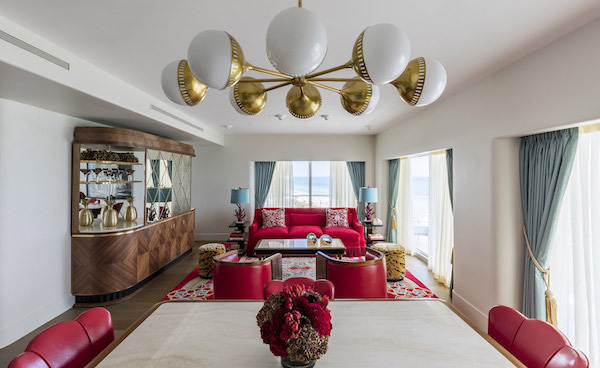 Perhaps the most eagerly anticipated of all recent Miami hotel openings has been the Faena, which opened in November 2015 as a vision conceived by Alan Faena and designed by Baz Luhrmann and Catherine Martin. Part of an ambitious project to create a new area on Collins Avenue from 32nd to 36th streets, the Faena Hotel in Miami Beach is the focal point of Faena District, a new cultural neighbourhood of hotels, apartments, residences, entertainment and cultural venues and shops. 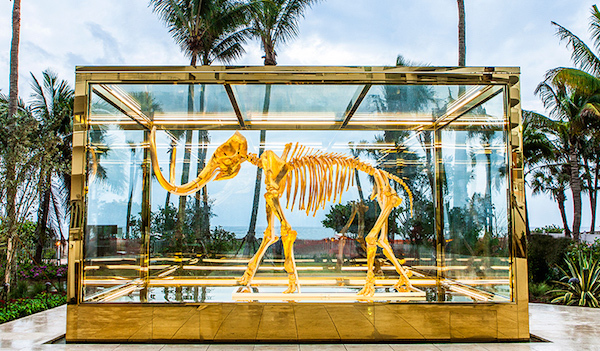 The design here is bold in all respects – Art Deco furniture, grand chandeliers, animal print chairs, statues of leopards in the bar and a giant Damien Hirst designed gilded skeleton of a three-metre tall woolly mammoth in a steel and glass vitrine on the terrace. Everything about this place is impressive, including the recently launched Latin American theatrical show in the Faena Theatre. 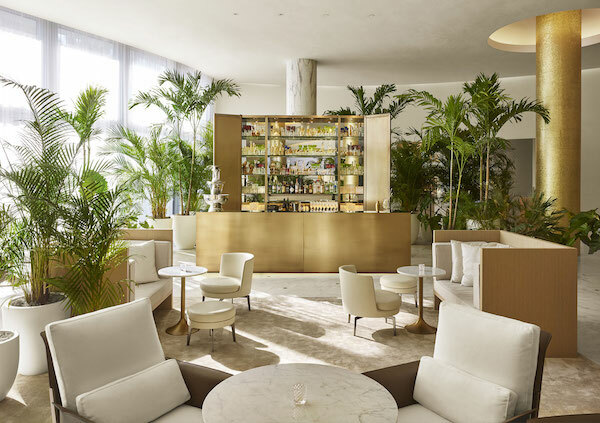 Ian Schrager first shook up the Miami hotel scene in the 90s with the launch of the Delano, and he returned in 2014 with The EDITION Miami Beach in collaboration with Marriott Hotels. 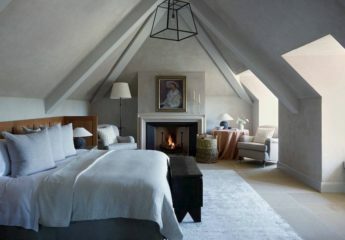 The rooms are designed in a similarly neutral style as the London EDITION and like its sister property, it’s the public areas and facilities that are the real attraction here. After dinner at the excellent The Matador Room restaurant (a collaboration with Chef Jean-Georges Vongerichten), head downstairs to BASEMENT, which features a nightclub, bowling alley, and ice-skating rink all in one venue! 1 Hotel South Beach offers a calming atmosphere surrounded by neutral colours and natural wood furnishings. 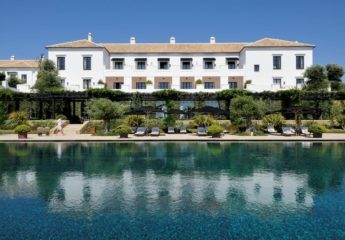 With over 400 rooms (averaging a whopping 700 square feet) and 4 swimming pools, this is a large hotel, but service is warm, personal and friendly. The focus here is on eco-luxury with the use reclaimed and natural materials wherever possible and a 3,000 foot living wall wrapped around the exterior, containing local tropical plants. 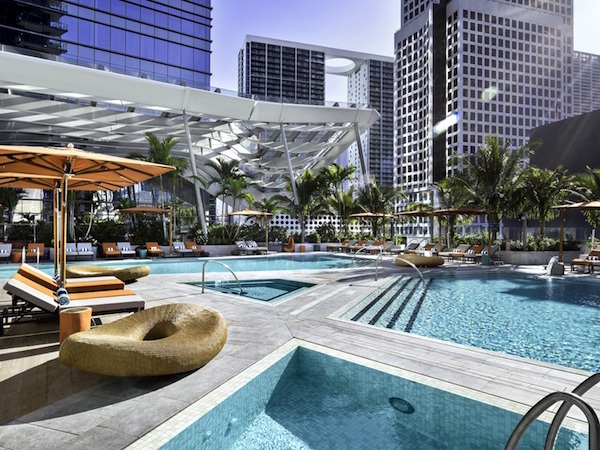 Over in Miami’s Brickell district, EAST Miami hotel opened in the summer of 2016 with 352 guest rooms, the latest hotel from the Swire Group, the group behind The Upper House in Hong Kong. The highlight is the 20,000 square-foot outdoor Pool & Deck area with a lap pool, spa pool, cold plunge and hot tub, and Sugar, the 40th floor Asian inspired rooftop bar and garden. 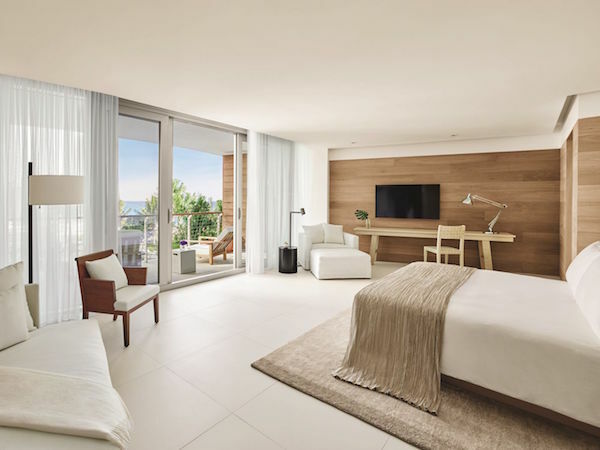 With the ‘hotel within a hotel’ concept often associated with Las Vegas, Nobu Hotels will open in the Eden Roc hotel towards the end of 2016, with 203 rooms, a Nobu restaurant and bar, a new beachfront restaurant, a spa and two luxurious pools. 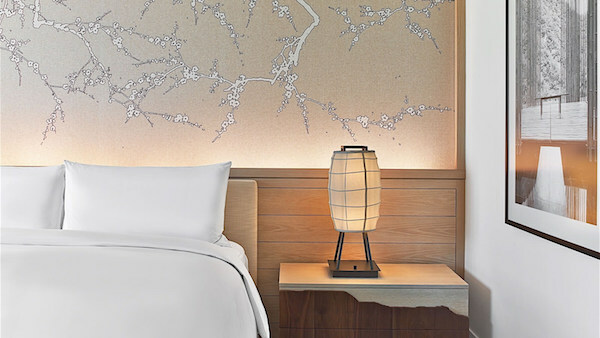 Nobu Hotels will also be opening in Shoreditch in the near future. 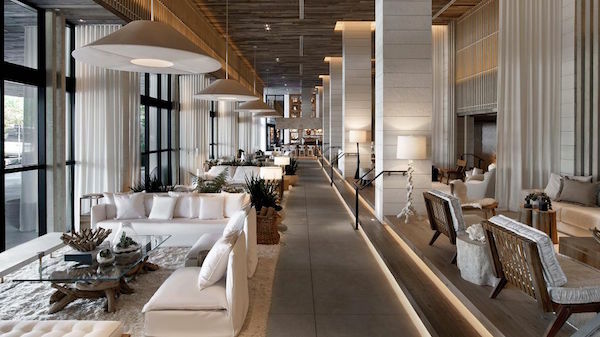 Fasano Hotel, one of Rio de Janeiro’s top luxury hotel will take over the existing Shore Club, one of Ian Schrager’s early hotels, and later part of the Morgans Hotel Group, in 2017. Features will include an Enzo Enea-designed garden, a lagoon-style swimming pool measuring over 9,500 square-feet and a Brazilian restaurant. 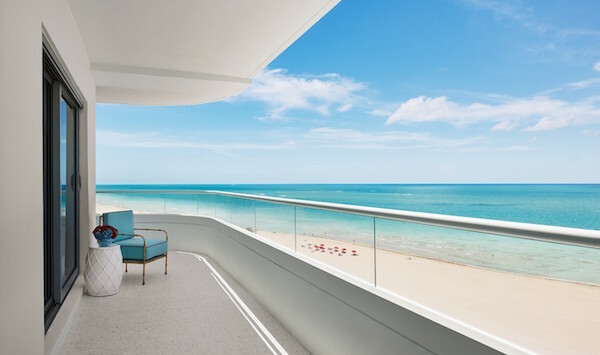 With hotel groups like Metropolitan by COMO, Thompson Hotels and Starwood all opening properties, Miami really is the place to be for the key players in the hotel market. You may also like to read our review of The Setai Hotel. 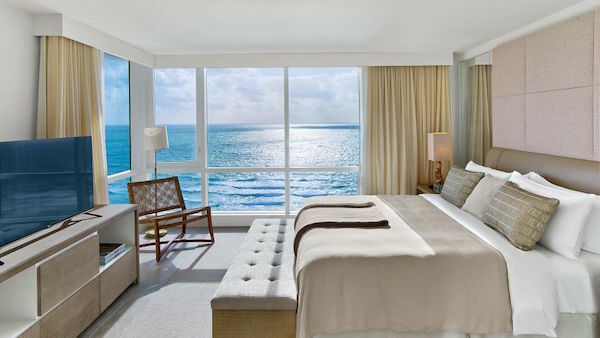 For help with booking one of the best hotels in Miami, contact Bon Vivant’s luxury travel team here. 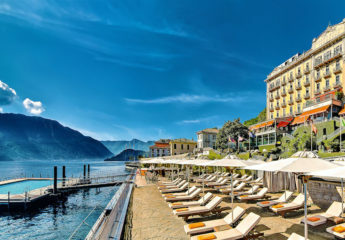 Read some of our recent hotel reviews including the gorgeous Jade Mountain in St Lucia and The River Lee Hotel in Cork. *This article appeared in the CODE quarterly, a magazine for the hospitality industry. View the full magazine here.